Quite often we are contacted by owners regarding old horses with very poor or no effective grinding teeth (molars) that are losing weight. On looking at the diets for these horses we often find that their owners have done a wonderful job of selecting suitable feeds that require little chewing and/or can be soaked in addition to forages in the form of chaff, hay cubes or chopped hay BUT they simply aren’t feeding enough of this forage. So our tip this month is feed lots of forage. 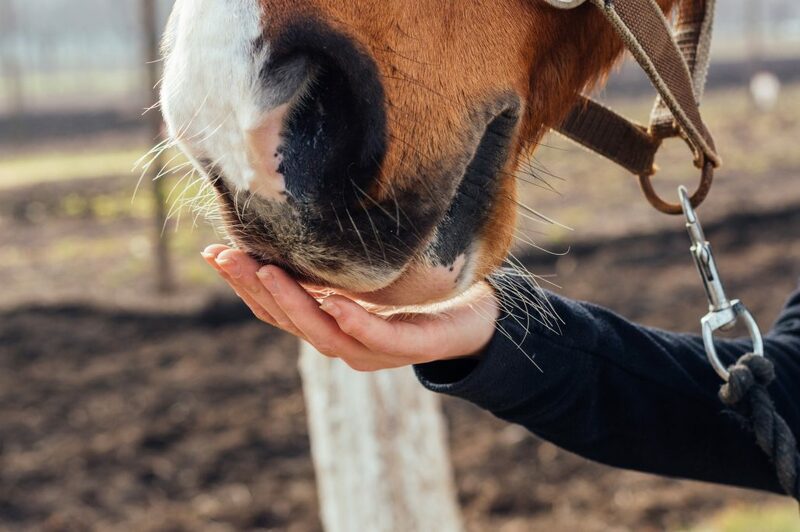 You should be aiming to feed 2% of an older horse’s ‘ideal bodyweight’ (the weight you would like them to be) in forage they can easily eat per day. This is equivalent to 2 kg for every 100 kg of their bodyweight (or 2 lb for every 100 lb), or 10 kg/day for a 500 kg horse (22 lb/1100 lb horse). Things like chaff (chopped hay) or soaked hay cubes are ideal. You can also use high energy fibres like sugarbeet pulp, soybean or lupin hulls and copra meal. 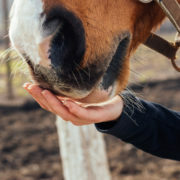 But we recommend you feed at least half of your horse’s forage as chaff or hay cubes so that there is some indigestible fibre in the mix to keep your horse’s gut full and reduce the risk of colic. And to avoid the trap of thinking you are feeding enough forage but actually are not, please weigh what you are feeding. 2 litres of chaff only weighs around 250 grams, so 10 kg of chaff could be as much as 40 litres of chaff per day, which looks like a lot!